Focused on the latest release of Visual Studio, this edition shows you how to use the Application Lifecycle Management (ALM) capabilities of Visual Studio 2012 to streamline software design, development, and testing. Divided into six main parts, this timely and authoritative title covers Team Foundation Server, stakeholder engagement, project management, architecture, software development, and testing. Whether serving as a step-by-step guide or a reference for designing software solutions, this book offers a nuts-and-bolts approach to using Microsoft's flagship development tools to solve real-world challenges throughout the application lifecycle. 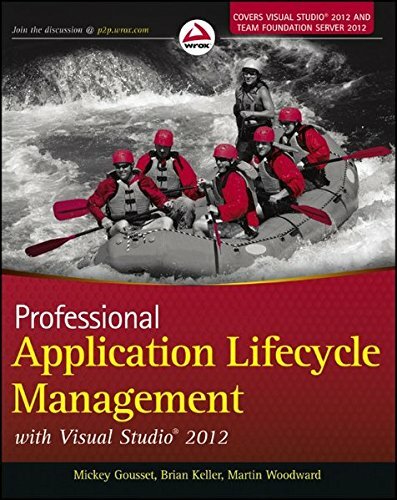 Professional Application Lifecycle Management with Visual Studio 2012 offers a thoroughly revised and updated edition of the leading reference book on ALM. View More In Microsoft Project. If you have any questions about this product by Wrox, contact us by completing and submitting the form below. If you are looking for a specif part number, please include it with your message.